Interested in buying a new Honda vehicle? Middletown Honda remains one of the top Honda dealerships near Mahwah thanks to our reputation for honest and friendly customer care. We’re also pleased to offer a large inventory of pre-owned models, as well as Honda service and maintenance. Our dealership is located in Middletown, New York, just a forty minute drive north of Mahwah. We’re located at 520 Route 211, right next to the Gander Mountain. 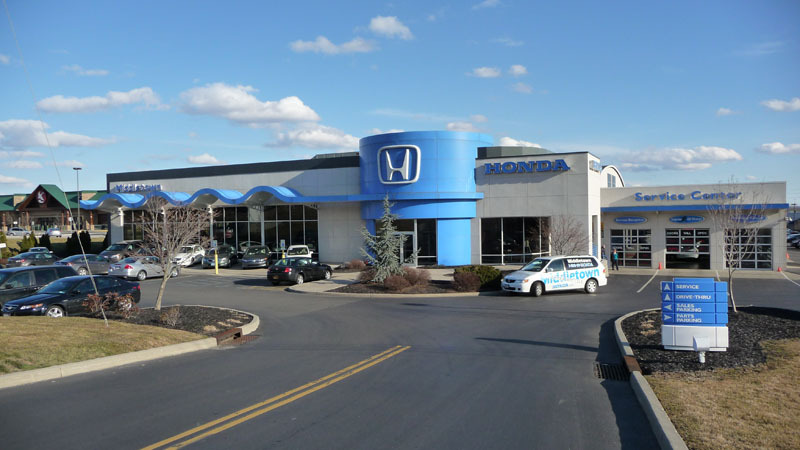 Look for Middletown Honda almost immediately on the right! Checking out a dealership after work may be tough with your schedule, which is why we’ve extended our hours later. We’re open Monday through Thursday from 9 a.m. to 8 p.m., Friday through Saturday from 9 a.m. to 6 p.m., and Sunday from 10 a.m. to 4 p.m. Whether you’re looking for a new or used vehicle, we can help you to find the right model for you. Our selection of new Honda vehicles has some of today’s most popular models, including the Accord, Civic, and CR-V. We also have plenty of cars in our pre-owned inventory, including options for under $10,000. By using our online inventory search, you can find models that are just right for you by searching by filters like year, price, body type, mileage, and fuel economy. We run a state-of-the-art service center, staffed by a professionally certified team of auto technicians. If you would like to request service you can give us a call or make an appointment online. We can also supply you with any parts or accessories you may need for your Honda. If you would like to learn more about any of the vehicles we have to offer, we encourage you to stop by our dealership! Feel free to give us a call with any questions. We’re located at 520 Route 211, in Middletown, New York. Our team looks forward to helping you with all your automotive needs.